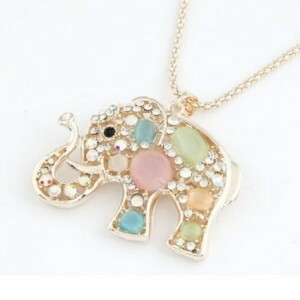 Rhinestone Elephant Necklace Just $3.49 SHIPPED! You are here: Home / Great Deals / Amazon Deals / Rhinestone Elephant Necklace Just $3.49 SHIPPED! How cute is this necklace? Get the Rhinestone Elephant Necklace for just $2.49 on Amazon. And, shipping is only $1!